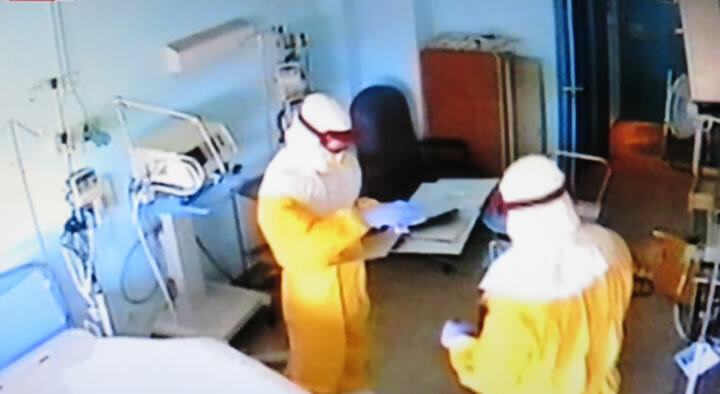 Whilst today's focus is how Spain's public health service have so spectacularly failed with just 1 Ebola patient for which the authorities had ample time to prepare for. Instead Britain’s NHS is arguable in far worse state of readiness for the public sector lack of competency disease is far more prevalent in the UK that manifests itself in DELAYS in diagnoses and treatment that can not just run in the days but months! Therefore don't believe state NHS propaganda of the UK being ready and able to cope with Ebola patients for the NHS culture of inconsistency ensures that the NHS WILL FAIL even more spectacularly than the Spanish health service has. The government believing its own preparedness propaganda has compounded the potential for an UK Ebola crisis by instead of declaring it would stop all flights from affected countries during the current outbreak instead dicing with death complacently states that travellers from Sub-Saharan Africa will not even be checked for signs of infection which sows the seeds for a number of infected individuals to be allowed into the UK where only 1 would be necessary to mark Britain’s patient zero to start an outbreak, especially as free movement of people is enshrined in European union treaties no matter the risk they may pose in terms of spreading a virus. Furthermore hundreds of UK NHS workers are being flown out to western Europe who given lack of competency will make matters worse ! And a undoubtedly a significant number of whom will become infected and then flown back into the UK who will go on to start their very own outbreaks. I can imagine the BBC 6 o'clock news naming the outbreaks, John, Julie, Simon, Mary and then giving the tallies of the number infected and deaths. Therefore given that the number of infected people in the effected countries is doubling every 3 weeks then it is highly probable that the UK will have its own out of control Ebola outbreaks before the end of this month (October). This is INEVITABLE! In zones of as much as 50 miles circumference schools will close, shops will be emptied and travel restrictions imposed as areas come under emergency quarantine controls which will impact on economic activity for quarantines will be the only real mechanisms for managing the outbreaks during the critical period of time for preventing new outbreaks from taking place nation wide. Expect the travel, holiday and hotels sectors to be increasngly hit hard as the market will tend to discount the future.